Join your hosts Therapeutic Arts Facilitator Lani Kent of Healing Expressions and Brenda Keck, PhD, LMFT for this overnight soul nurturing experience! Lani Kent, Therapeutic Arts Facilitator, Speaker and Artist has a compassionate heart for survivors of abuse, trauma and other difficult life experiences. Lani speaks at mental health conferences, and offers direct support to clients, recovery groups and mental health professionals through “Restorative Creativity” individual sessions and group workshops. She offers her healing artwork, creative therapeutic processes and honest expression of the recovery journey in the hopes that others will find the courage to share their own stories and find a voice for their deepest soul wounds. 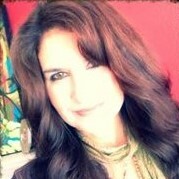 Lani has a deep love of welcoming women into places of acceptance, authenticity and tender care. She shares life's journey with her husband of 34 years and three grown sons and daughter-in-law! Brenda Keck, Ph.D., LMFT has been practicing as a therapist since 2008 and teaching counseling and psychology since 2014. She is passionate about promoting resilience, health and healing in the emotional and spiritual lives of mental health professionals, faith-based leaders and those who desire to understand their stories. Her specializations include: issues of cross-cultural living, Third Culture Kids, Trauma recovery, compassion fatigue/secondary traumatic stress, resilience and wellness. 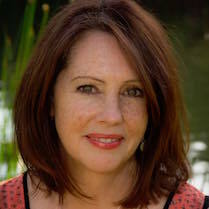 Brenda's work has taken her throughout the U.S., Asia, Africa and Europe as she shares her compassionate heart for authentic living, soul care and deep healing for the recovering heart. She shares her life with her husband of 35 years, adult twin daughters and son-in-law! 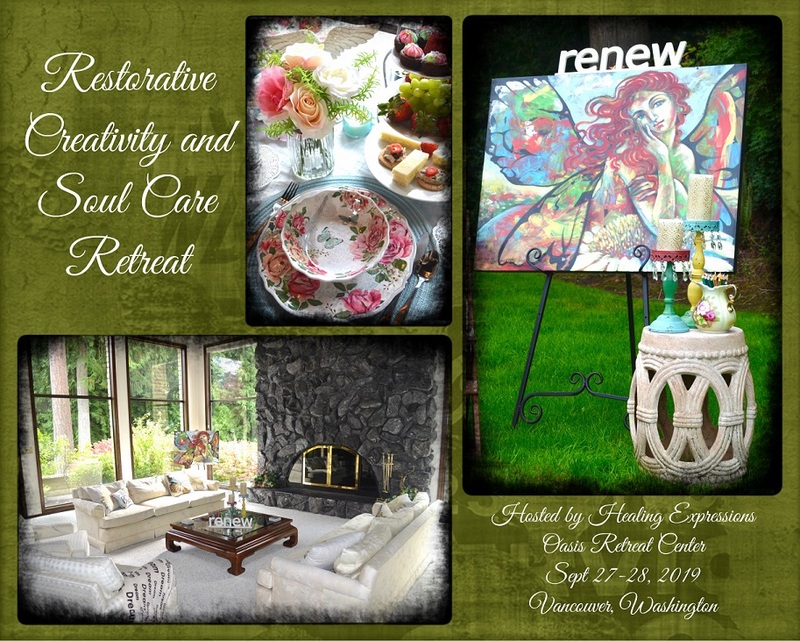 This unique, “Restorative Creativity and Soul Care Retreat”, is designed as a gentle experience of guided self care through creative expressions and sacred soul care. 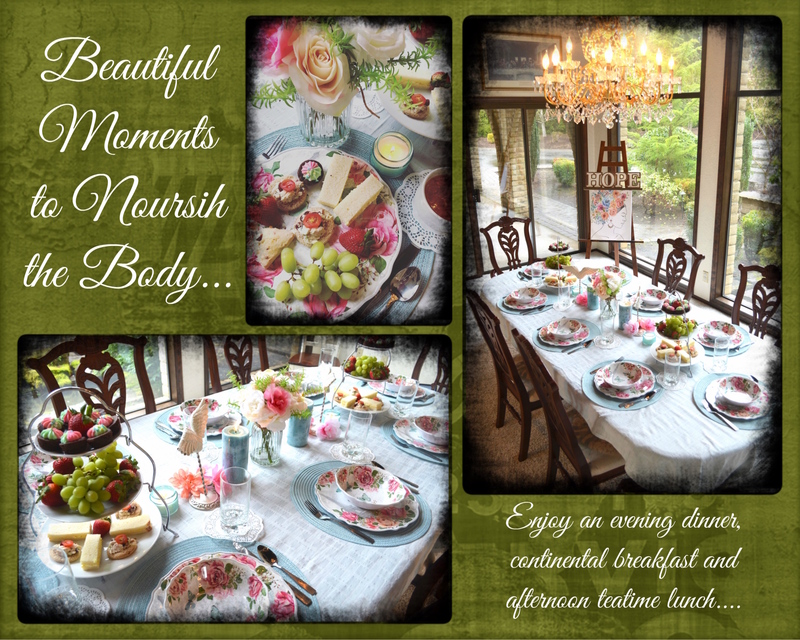 It is an intimate, small retreat open to 8-10 women. 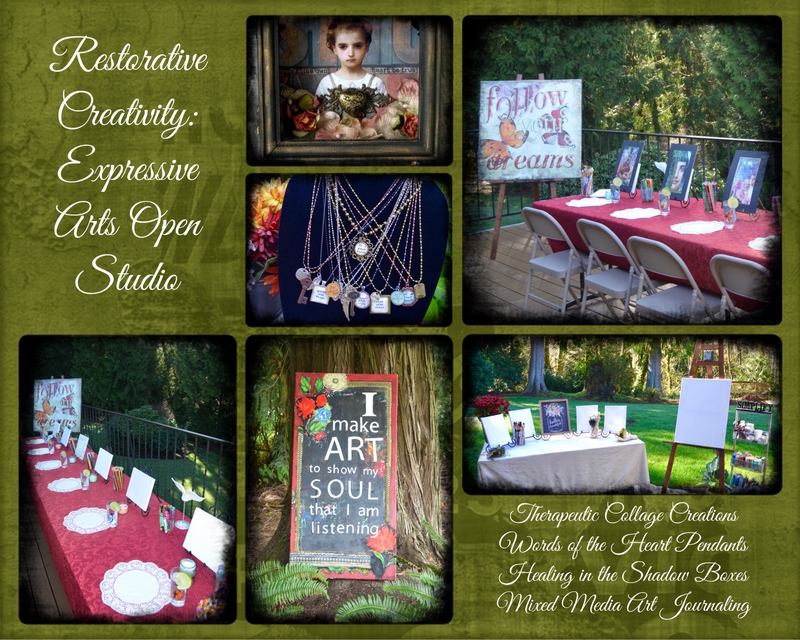 Throughout the retreat you will be given opportunities to explore your life story through “Restorative Creativity” exercises led by Lani Kent and “Soul Care” reflections led by Brenda Keck. Although there is a general schedule for the retreat, there is much flexibility and you are invited to rest, move, reflect, explore and be nourished in the ways that your unique heart most needs during your stay. Being in “one's own heart space” versus group processing/sharing is gently encouraged. 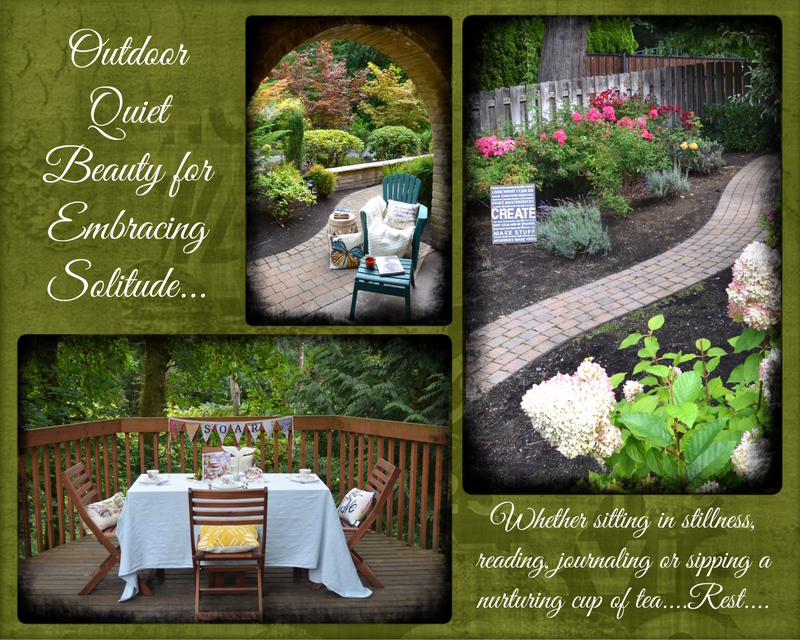 There are many beautiful indoor and outdoor places to retreat in the home. You will be tenderly encouraged to listen deeply, invite spiritual connection and express through healing creativity in between community gathering times for discussions and shared meals. Upon arrival, we invite you to “unplug”, and request a “technology free” environment to fully support the heart of the retreat (there is a land-line number if necessary). The hope for each attendee is that they would receive nurture and rest, be lovingly served and be given ample opportunity for creative expression and deep heart listening. 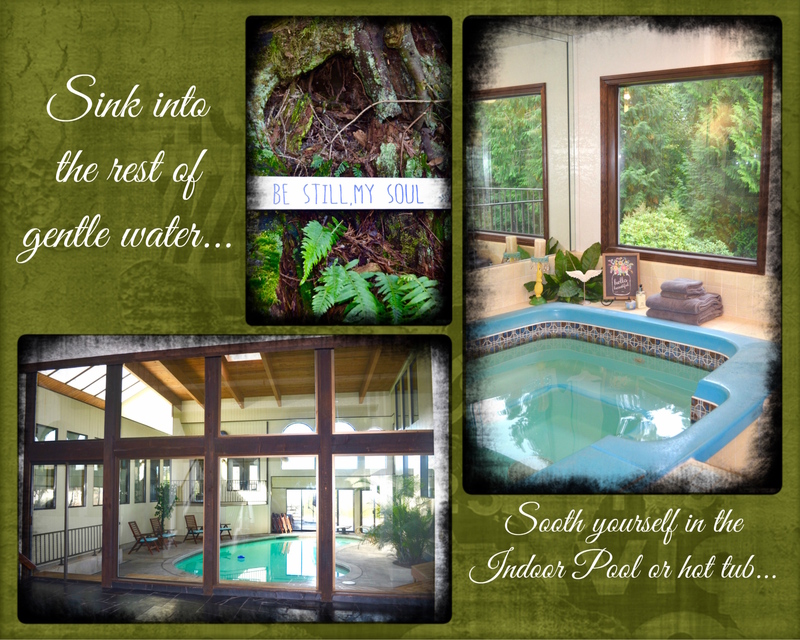 The overnight, intimate retreat, held at the lovely older home-style setting of the Oasis Retreat Center in Vancouver, Washington, is just 20-25 minutes north of Portland Airport. 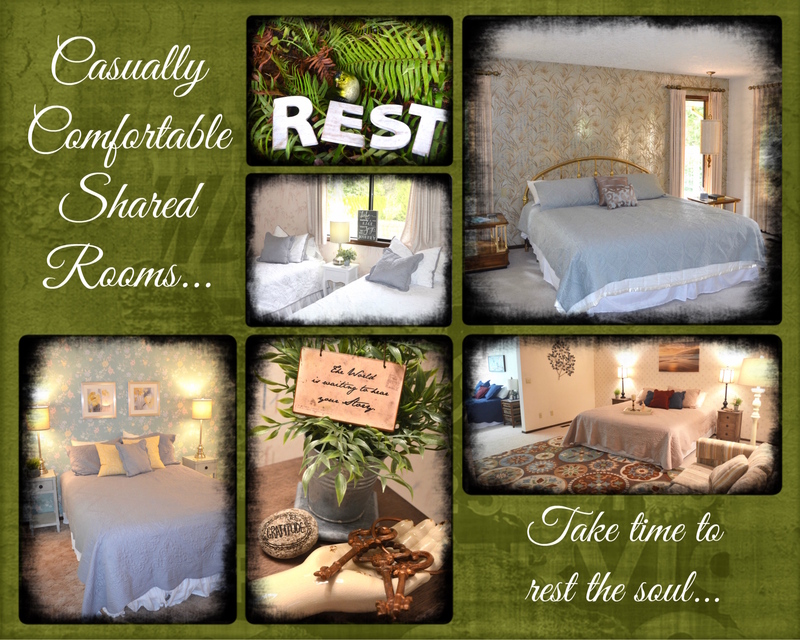 Each guest will be cared for with casually comfortable spaces for sacred rest in shared accommodations! The beds are a combination of king, queen, twins, memory foam sofa beds and high quality air beds. If you are coming with a friend, please let us know as the two king size beds will be offered to those who are comfortable sharing in order to best utilize the space! Each room will sleep 2-3 guests and there are two large bathrooms that will be shared between guests. Bathrooms will be supplied with items for your comfort and convenience (fresh towels, shower products, feminine care, blow dryers, etc). Guest rooms are located on split level (small set of 5 stairs) and second level (full set of stairs) These rooms are only accessible by these stairs and are unfortunately not wheelchair accessible. Due to the intimate nature of the retreat, there is space for only10 attendees so early registration is recommended! 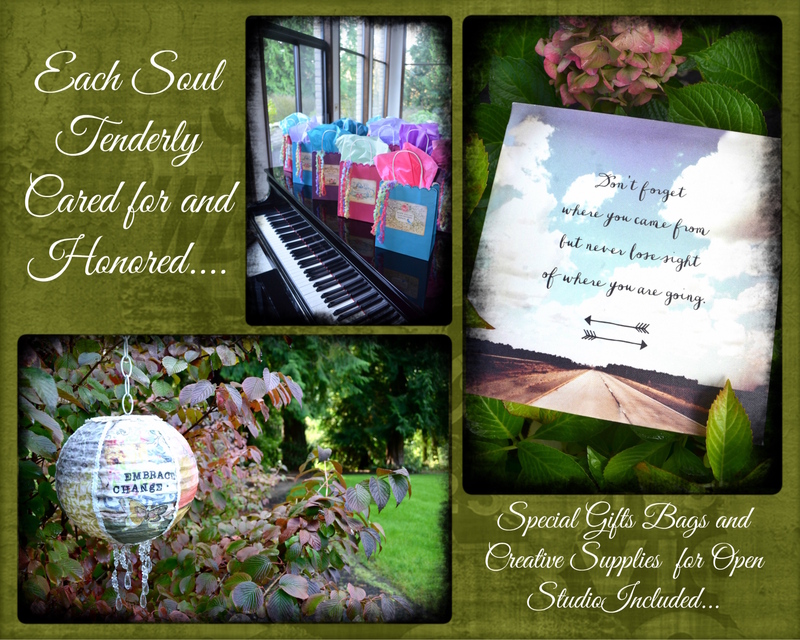 Registration Fee includes Casual Shared Accommodations, Evening Dinner, Morning Continental Breakfast, Afternoon TeaTime Lunch, Refreshments, Gift Bag of Blessings, Open Studio Art Supplies and Materials, Restorative Creativity Gatherings with Therapeutic Arts Facilitator, Lani Kent and Soul Care Gatherings with Brenda Keck, Ph.D., LMFT. creatively listen to your heart!